Another thing we need to deal with is the missing values. We will again look at the list of the output. 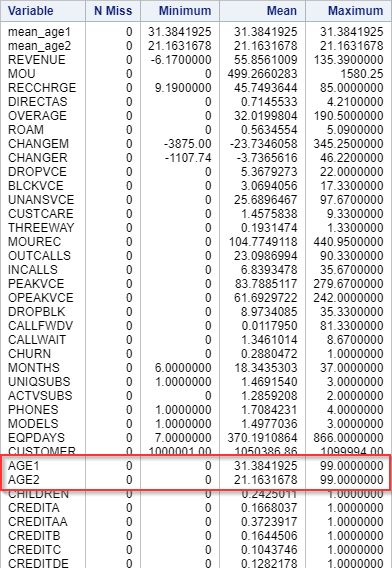 None of the columns have missing values except AGE1 and AGE2 (i.e. age of the first and second household members). There are 1,235 customers whose age information is missing. 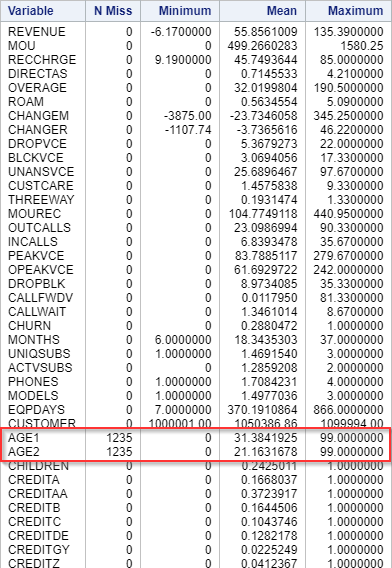 Since no other values is missing from these 1,235 customers, it would be a waste to remove them from our data set. One way to deal with missing values is to replace them with the average of the variable. ​The missing values from the AGE1 and AGE2 columns are gone. In the next section, we will explore different ways to reduce number of variables for our analysis.